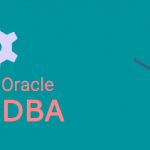 BigClasses offers Oracle DBA online training for those learners who have a common aim – to be a knowledgeable and good Database Administrator. This Oracle DBA training is very interactive and effective one. 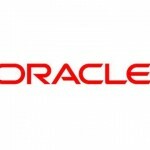 We also provide Oracle tutorials to our students in rich digital format. Learn Oracle online, because there is a huge demand for database administrators in any large and medium size organization to maintain their important and valuable data. A database is a vital concept to maintain data. In early period people used to maintain their data or information in a traditional way. They used normal excel files to maintain their records.But searching any information, updating or deleting any record was very difficult because all these things were done manually, which consisted of many anomalies. 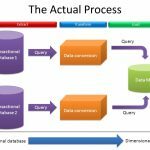 To do these tasks easily and without any anomalies, we need a database.Our Oracle DBA online training will explain to you how we need to do these. 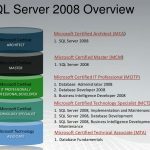 Our Oracle DBA training will also teach you how Database Administrator should do these and maintain the databases properly, with the help of database architecture and with physical storage structure also. Physical Storage Structure of Database: Physical structure and logical structure are different and separate. One can manage the entire physical storage without affecting the logical structure. A database is basically is a set of files which stores data in a disk storage. Our Oracle DBA training will teach you when the user uses CREATE DATABASE statement, then some database files generate. These files are –Data files, Online Redo Log Files, and Control files. Data File: Data file is a physical file on the disk. It is created by the database and also contains data structures (tables and indexes). Temp is a kind of data file. It belongs to the temporary tablespace.Data written to this kind of file cannot be read by any other program. Control File: It is root file. It tracks the physical components of the database. Online Redo Log File: It is a set of files which contain the record of changes, which made to data. 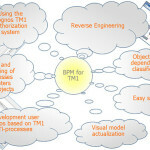 BigClasses is one of the best online training organizations offer Oracle DBA training. We have qualified and experienced faculties who are responsible for taking the online sessions. We provide study materials and 24 hours support to our national and international learners as well. If you are interested in Oracle DBA online training , contact us for the detailed course and the free demo classes.